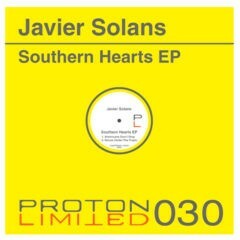 Proton Limited heads back to South America through Argentina for a great tech house release from Javier Solans. 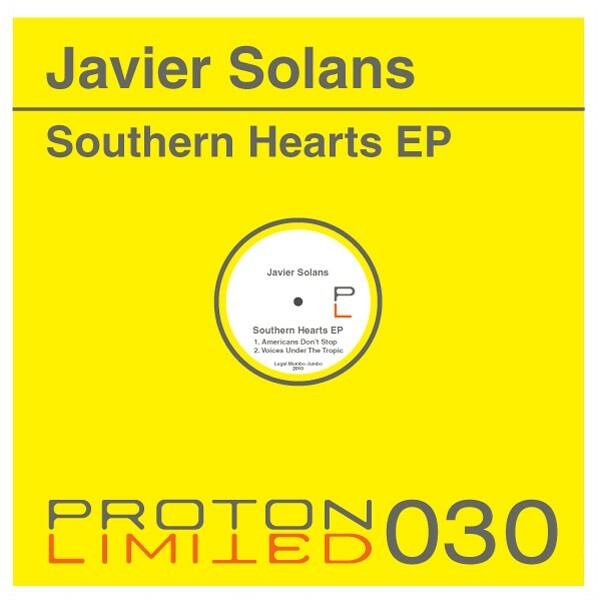 His Southern Hearts EP comes with two original tracks, the first song Americans Don’t Stop will pick up the pace on any dancefloor with its tribal feel and rhythmic percussion. While Dj Christ remix takes it down a notch and goes with a funkier bassline, which builds the track up nicely and holds true to the original elements and brings out the vocals intensity at the end. Voices under the tropic keeps to the tribal theme of the release with hypnotic vocals and ethnic drums. Joe Fisher takes his version to a more progressive route, but does not venture to far off the path. Solid release coming out of Buenos Aires. Enjoy.